Keena is a stunning 3-year-old, 12-pound domestic shorthaired cat with the softest eyes and unique markings. She enjoys long naps, playing with toy mice and talking all about your day when you get home. If you want a cat that will cuddle on the couch with you, then Keena might be your match. Dixie is a 6 1/2-year old, 57-pound, German shorthair pointer mix who is sweet and lovable. She was found as a stray in Aurora before coming to Steamboat Springs to find her forever family. Dixie enjoys wide-open spaces, lots of exercise, socializing with people and other dogs and would be the perfect dog to take to work each day. 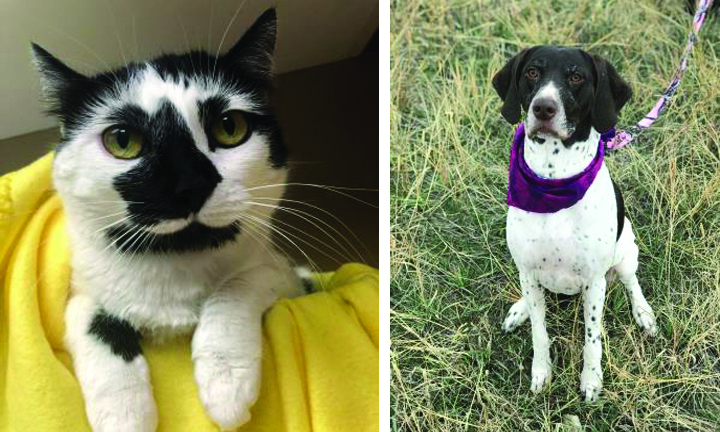 For more information about Keena, Dixie and other adoptable pets, call the Routt County Humane Society at 970-879-7247 or visit RouttHumane.org.